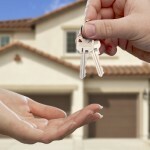 Are you thinking of buying your first home in Minnesota? Would you like a free gift of money to help you purchase that first home? The state of Minnesota provides free grant money for its residents who are first time home buyers and need help with the down payment and closing costs. This assistance is in the form of an interest-free loan, and if you remain in your home for 6 years or longer, 70% of the loan is forgiven, which means it is effectively a grant. There is also Federal Grant money available as well as grants from private foundations. This is free money that shouldn’t be passed up! The grant awards can be in the thousands of dollars. It will be well worth your time to educate yourself about the grant programs that are available to Minnesota residents. Minnesota Housing Finance Agency provides affordable housing for low- and moderate-income households while fostering strong communities. They offer mortgage programs that provide affordable interest rate loans to eligible first-time homebuyers, including downpayment and closing cost assistance programs. 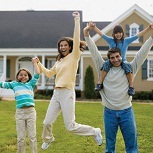 The Homeownership Assistance Fund (HAF) and HOME Homeowner Entry Loan Program (HOME HELP) offer interest-free, deferred downpayment and closing cost assistance loans to help low to moderate income first-time homebuyers who qualify for a Minnesota Housing loan. HOME HELP cannot be used with HAF. 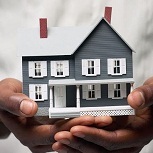 To get complete details of the home buyer programs available, visit their website. You can also directly download a PDF that outlines the programs available and details the income requirements as well as eligibility. For a direct download, you can use this PDF. 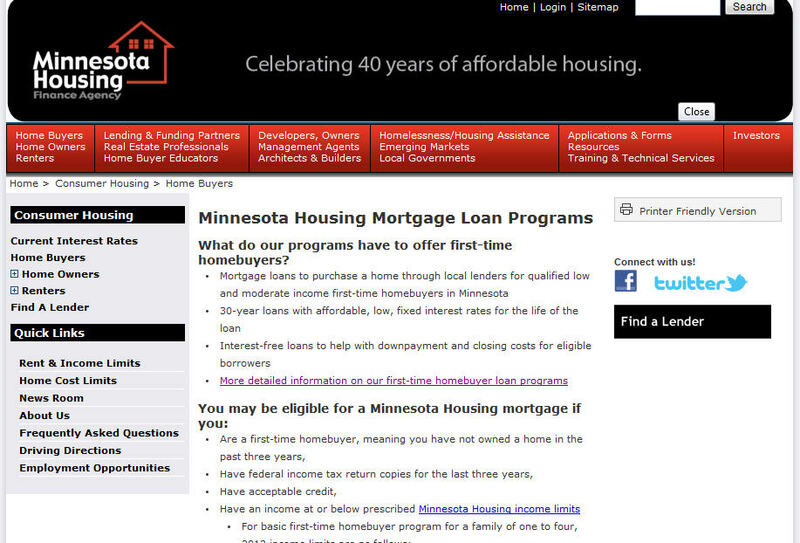 Besides the state programs, there are federal funds and grants available to the home buyers in Minnesota through the Homes and Communities program of the United States Department of Housing and Urban Development. On their website you’ll find complete grant information, application forms, description of available funds, as well as many other helpful tools. 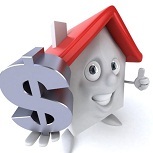 Every potential home buyer seeking a grant should investigate what they have to offer. You can visit the website by going here: US Dept. of Housing and Urban Development. Also, there is a website that has a complete list of all grant programs available through the United States Federal Government: Grants.gov. First time home buyers should plan to spend the required time investigating to determine how many individual grants they may qualify for. You can visit the website by going to Grants.gov and searching for more details about the grants. This entry was posted in First Time Home Buyer Grants and tagged HAF, Homeownership Assistance Fund, HUD grants, MHFA, Minnesota Housing Finance Agency, omeowner Entry Loan Program. Bookmark the permalink.